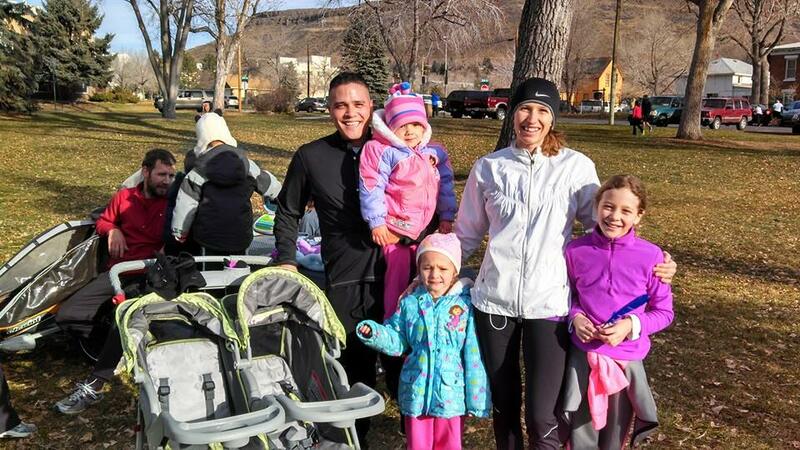 Make running a family affair! There was a time when I didn’t want to run. There were times when I was forced to run, such as during P.E. in high school or while attending Officer Candidate School in the Coast Guard. Then there was a time when I ran because I needed to lose weight. Eventually, running turned from a chore to a pleasant experience. However, it took MANY years for that to happen. Some people fall in love right away, but that wasn’t my case. It took dedication, motivation, running buddies, charities, having children, being inspired by cancer survivors and lots of Runner’s World magazines before I finally fell head over heels. It was definitely a SLOW start for me. 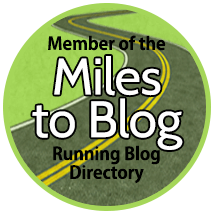 Even after all of that, I admit that sometimes I am baffled when people say to me “Oh, I would like to run, but I just don’t have time.” I know that people have to WANT it in order for it to happen, but what’s up with the lack of time management skills? And then I slap myself on the forehead (only in my mind of course) and sympathize with a “yes, sometimes it is difficult to find time for ourselves.” Yes, I was there once. Of course time wasn’t the issue for me back when I was in college. If I had time to party, sleep in and go skiing, then I probably had time to run. For me, it was mostly the lack of motivation that kept running from being my friend. It wasn’t until after my mother, the marathoner, passed away that I thought “eh, maybe I could run.” Yet, I still decided to wait before I jumped in full steam ahead. I waited until I had a baby, a husband and a full-time job (okay let’s call it full-time and a half… that’s what it is when you are in the military). I tend to be more productive when I have a full plate. 1. Take it SLOW. Don’t jump in and take off full blast. You will get burned out quickly and suddenly develop a loathing for running. Try two days a week and then add another day when you feel that you have mastered the two days. Try 15 minutes and then add a few more minutes as you start to feel comfortable. There is no need to run for the entire 15 minutes. Start with a walk/jog to get used to the feeling of running. 2. According to #1, you don’t need to set aside too much time to start your new running career (um, I mean hobby). You can do anything in 15 minutes. Get up a few minutes early. Take a lunch break! Skip a show one night (isn’t that what on demand is for?). 3. Set a goal. The best way to get started is to spend some money… on a race. Keep it simple. Local 5K’s are great! Not only that, but there are a lot of races that fundraise for local charities. A great cause is yet another motivation to get started! My biggest motivator was joining Team in Training in order to run AND raise money for cancer research. 4. Find a friend who will run with you. Peer pressure is always handy in situations like these (try to get a clueless friend who doesn’t know what the heck they are getting themselves into). 5. Make it a family affair! My family and I do fun runs and 5K’s together. We have a blast and it is a great way for us to spend a Saturday morning. It is not even necessary to sign up for a race because you can load up the kids (and strollers if needed) and head out to a local trail. The most important thing I gained from running is discipline. Is this something you want to teach your kids? 6. Reading a good book might get you in the mood. “Born to Run” by Christopher McDougall is a nice read. 7. Visualize your new healthy life. You will start to feel better about yourself and gain the confidence that you need to take on more challenges! Yep, it’s tough to get started, but don’t put it off for too much longer. You deserve to do something for yourself (and, in the long run, you will actually be inspiring everyone around you).